I have always envied collectors of American Historical views who live on the East Coast. There are so many East Coast patterns that celebrate American history. I grew up in Philadelphia, and there are tons of Philadelphia patterns, but I have lived near San Francisco since the 1970s. 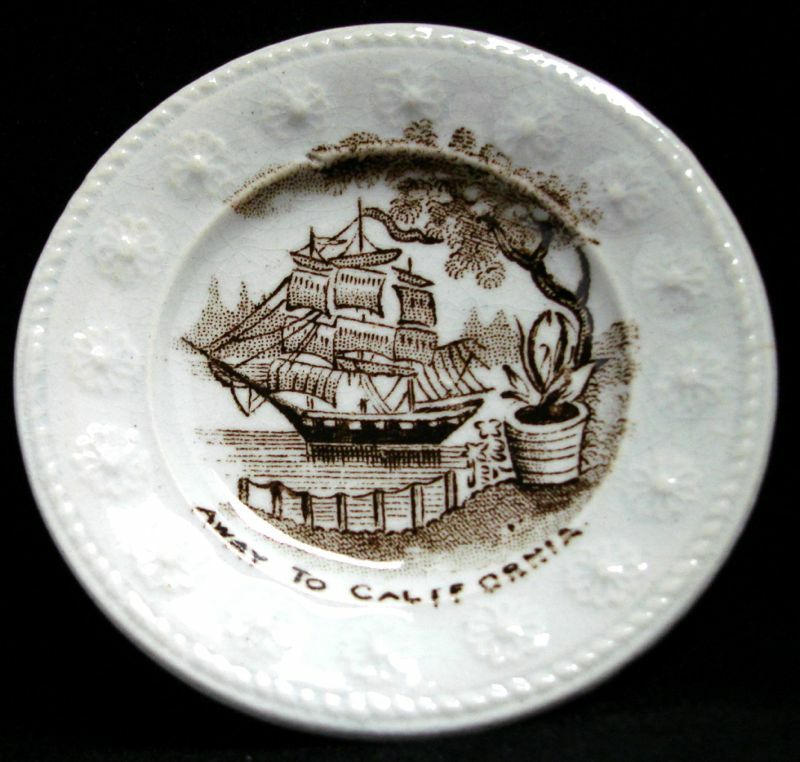 Thus, I was delighted to find two tiny plates, 2.88 inches in diameter, that focused on California's Gold Rush; "Away To California" and "California Diggings." These toy or souvenir plates were made by John Thomson (& Sons) at the Annfield Pottery (1826-1883) in Glasgow. They are part of a series of plates that are mainly unrelated. "Indian Chiefs," "Highland Dance," and "Royal Exchange" (Glasgow) are a few of the other patterns. 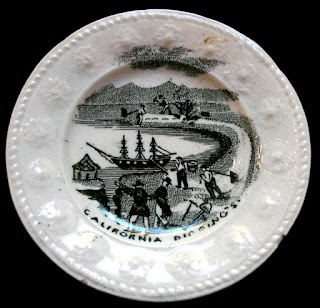 Panning for gold in California was the rage between 1849-1864. Among the many who arrived in California in the 1850s was my husband's great great great (he doesn't remember how many greats) grandfather. Unfortunately, he didn't find any gold. Luckily, the "gold" in California today is real estate. I am enjoying the photos and the information. The "Le Petit Chaperon Rouge" plates are very charming. I look forward to more interesting posts.